Dr. Greer will NOT see patients that refuse to schedule an appointment. 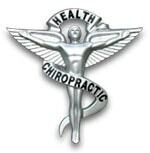 We are partnered with Bosman Chiropractic. In the event that you need chiropractic assistance and we’re not available, please contact Dr. Jeff Bosman at 248-253-1700.